The daily lives of millions or rather billions of people (around 40% of the global population, in fact) have today become totally intertwined with the internet and all kinds of technological toys and gadgets, toys and gadgets that create a constantly vibrant buzz of interconnectivity and eroding privacy. On the one hand, Big Brother in the shape the U.S. NSA, the German BND or the Turkish MİT, to name but a few security agencies active around the globe today, keep constant tabs on everyone’s deeds, actions and even thoughts (as expressed in untold internet missives and social media posts). In contrast, mostly shadowy and anonymous networks of hackers, whistleblowers, and other tech-savvy rebels-with-a-cause occasionally “leak” troves of information, thereby making public what was supposed to be hidden away from prying eyes. 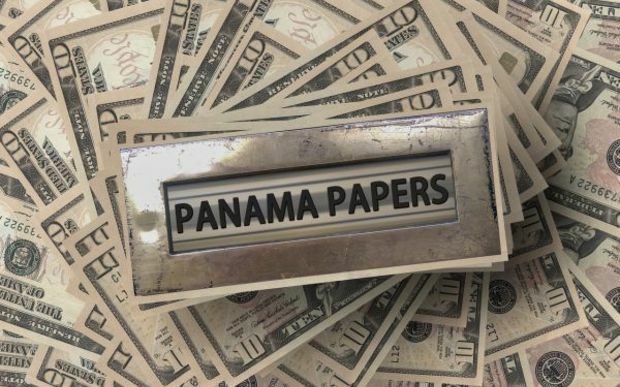 In this vein, on Sunday, 3 April 2016, news of the so-called Panama Papers hit the world by surprise. And, some might argue, the world will never be the same again following this “giant leak of more than 11.5 million financial and legal records,” records held by the Panamanian law firm Mossack Fonseca and pertaining to numerous high-flying figures in politics and commerce around the globe. Apparently, more than a year ago an “anonymous source” (appropriately enough employing the pseudonym John Doe) got in touch with the reputable German paper the Süddeutsche Zeitung (or SZ) and in view of the magnitude of the information the Germans decided to analyze the data in conjunction with the International Consortium of Investigative Journalists (or ICIJ). The latter had the requisite experience, having previously also worked on Swiss Leaks (February 2015), Lux Leaks (November 2014), and before that on Offshore Leaks (April 2013). But, something does not seem quite right this time around. 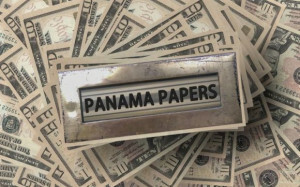 The Panama Papers reveal the existence of numerous offshore companies, which are basically means used to launder or simply hide money in offshore financial centres, commonly referred to as “tax havens.” Many prominent names explicitly figure in the leaked papers, names such as those of the Prime Ministers of Iceland and Pakistan, the names of the children of the president of Azerbaijan or even the name of the King of Saudi Arabia. But in the mainstream media, with the BBC and the Guardian leading the charge, the name of Russia’s President is mentioned time and again. As if the Panama Papers were primarily a leaked time-bomb about to strike the figure of Vladimir Putin hard and fast. In reality though, his name is nowhere explicitly mentioned in the Papers. Instead, the ICIJ merely talks about “associates of Russian President Vladimir Putin,” associates such as Boris and Arkady Rotenberg and Sergi Roldugin are mentioned — the first being Russian businessmen and “oligarchs,” as the West likes to refer to Russian capitalists, and the latter a Russian businessman and cellist. The Guardian went as far as calling him “Putin’s best friend,” in view of the fact that he is Putin’s daughter Maria Putina’s godfather and apparently the one who introduced Russia’s current president to Lyudmila Shkrebneva, Putin’s wife between 1983 and 2014. Thus, it seems that the Panama Papers paint Putin guilty by association. 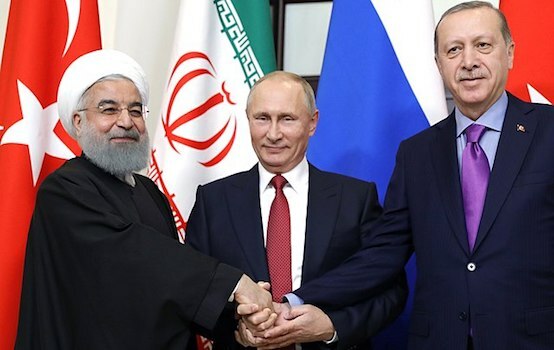 While, Vladimir Putin and the exact nature of his arguable friendships and possible business dealings are beyond my reach, the mainstream media’s fixation with the Russian President seems strangely beholden to Obama administration policy. Bloomberg’s Alan Katz [https://twitter.com/Alanrkatz], for instance, recently pointed out that Washington is planning to scour the Panama Papers for the names of “people who may have helped companies or individuals evade sanctions related to Russia’s role in destabilizing Ukraine.” With a view towards adding these names to the U.S. Treasury Department’s list of sanctioned parties of course. As a result, one could very well pose the question whether something indeed smells rotten in the United States of America?!?? Some years ago, in early 2014 to be precise, Princeton University Prof Martin Gilens and Northwestern University Prof Benjamin Page published an interesting study on the politico-economical realities on the ground in the United States. Using their best academese, the two political scientists put their findings like this: “[m]ultivariate analysis indicates that economic elites and organised groups representing business interests have substantial independent impacts on US government policy, while average citizens and mass-based interest groups have little or no independent influence.” Or, to put it in plain English, “the wealthy few move policy, while the average American has little power,” as explained by none other than the BBC, arguably a bastion of plainspeak and impartiality. Gilens and Benjamin also went ahead and translated their jargon-laced verdict into a more readily understandable form as follows: “if policymaking is dominated by powerful business organisations and a small number of affluent Americans, then America’s claims to being a democratic society are seriously threatened.” In fact, these two academics built their 2014 study of 1,779 public policy survey questions asked between 1981 and 2002 on the earlier analytical work by political scientists like Jeffrey Winter and Benjamin Page. These two scholars published a 2009 article which sought to illustrate that the U.S. “political system” can usefully be characterized as “oligarchic,” reasoning that a “very small group of the wealthiest (perhaps the top tenth of 1 percent) may have sufficient power to dominate policy in certain key areas.” Still, the mainstream media, including the BBC among many others, never ever refer to this “top tenth of 1 percent” of wealthy Americans as oligarchs, which they indubitable are. Instead, mainstream media call Russian businessmen, who made their wealth in the aftermath of the fall of Communism and the introduction of Disaster Capitalism into the erstwhile Soviet world, oligarchs as a natural course. But in actual fact, the situation in the 21st century is such that oligarchy and not democracy is the new normal, or, if your will, the new status quo. This means that the early 21st century is but a mirror image of the late 19th, the proverbial “ Age of Capital,” to use the late great Eric Hobsbawm’s phrase. The U.S. has been dominating the world ever since the end of the Cold War in political and economic terms. The EU, as its transatlantic economic counterpart, has in many ways been under Washington’s tutelage ever since the fall of the Third Reich in 1945. As a union of 28 separate nation states, the EU has over the past years been at pains to display a united front, an attempt that has failed dramatically in many ways, as amply illustrated in the bloc’s current dithering response to the ongoing refugee crisis. But, on the economic front, the (European) union is strong, with the EU lambasting on a requisite webpage that it is at present the “biggest player on the global trading scene and remains a good region to do business with.” In a recent press release, issued by the Eurostat Press Office, the bloc modestly boasts that the “euro area recorded a €6.2 bn surplus in trade in goods with the rest of the world in January 2016″ and that “[i]ntra-euro area trade remained stable at €132.5 bn in January 2016″ as well. The euro area consists of 19 nations within the 28-member Union. In fact, some would argue, the introduction of the euro (€) as a pan-European currency in 2002 was but a feeble attempt by the Europeans to compete with the almighty U.S. Dollar ($). The just-quoted press release admits that the “EU28 recorded a €11.0 bn deficit in trade in goods with the rest of the world in January 2016,” but in the next instance then boastfully adds that “[i]ntra-EU28 trade rose to €239.6 bn in January 2016, +1% compared with January 2015.” It appears to be a plain fact that economic policy, in contrast to other attempts at formulating a single united policy aims, thrives in the EU, apparently unhampered by the cacophony of divergent political opinions and popular resistance to the encroaching wannabe-superstate-that-is-the-European Union. Members of the EU’s political elite thus appear to accept unquestioningly that the benefits of trade and commerce necessarily overrule democratic processes. Professor Jan Blommaert, a Belgian sociolinguist and linguistic anthropologist, calls this a “template,” a pattern describing how “democratic procedures and principles are suggested to be subject – inferior – to concerns of a higher order, and two such concerns stand out. One, the economic conjuncture which needs to be turned around by means of more market-less government strategies . . . Two, and as a corollary of the first one, security: threats to ‘political stability’ are presented as danger for democracy and have to be met with new forms of informal justice and radical policing, jeopardizing (or undercutting) established civil liberties in a democratic society.” Blommaert here pinpoints the two entwined major forces ruling the world today, the Economy and the War-on-Terror (as the true successor to the Cold War that provided ideological certainties and investment opportunities in the period 1945-91). Already in the year 2000, the political scientists Colin Crouch coined the phrase post-democracy to describe this increasingly stifling trend in the 21st-century capitalism. Professor Crouch published his views in book form in 2004. 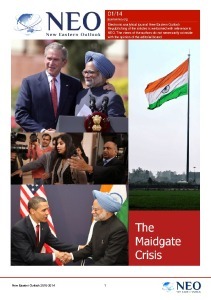 Crouch maintains that “virtually all the formal components of democracy survive”’ today, but that “citizens have been reduced to the role of manipulated, passive, rare participants.” The Professor concludes harshly that “politics and government are increasingly slipping back into the control of privileged elites in the manner characteristic of pre-democratic times.” Against this bleak backdrop of the ultimate victory of neoliberalism, the Panama Papers appeared on the scene reminding the world’s population that their leadership is basically at the beck and call of the wealthy few. If the Panama Papers are really to be understood as a Washington-engineered leak (to discredit Russia, among other things), then they could also be seen as an official confirmation of the fact that we are now really living in a post-democratic world order, that oligarchs all around the world dictate policy while busily hiding their ill-gotten gains and enjoying the high life. That seems to be the main message.